When Adrian Thomas walked into the Troy, New York police station and waived his Miranda rights, he didn't know he was being video-recorded. His four-month-old baby lay brain-dead in a pediatric ICU. The doctors believed it was "shaken baby" abuse, and Adrian Thomas became the main suspect. And so began a psychological battle: the detectives repeatedly lied to -- and manipulated -- their suspect. And they reassured Adrian Thomas that if he told them what happened, the police would view it as an accident, without jail time. For the first few hours, Thomas denied harming his child, but with encouragement from police, he began speculating about mishaps with his child. He became depressed -- even suicidal -- and the detectives took him to a psychiatric ward. Sixteen hours later, they picked him up, and began questioning him again at the station. 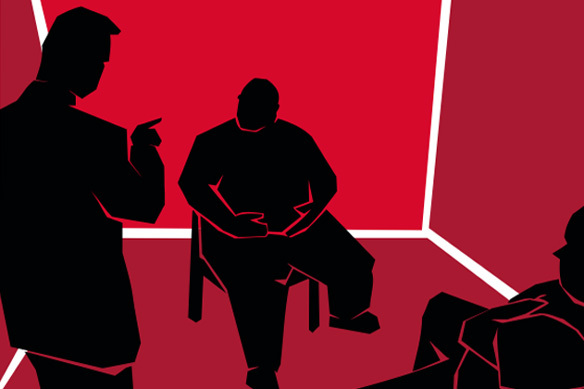 For the next several hours, the detectives used an array of powerful psychological techniques to ramp up the pressure and eventually extracted a confession. Very quickly afterward, Adrian Thomas recanted, and his defense attorneys began investigating the case. Medical evidence revealed that his child's condition was misdiagnosed, and the cause of death was not at all what it first seemed. Police felt justified telling lies in order to "get to the truth," and maintain the law allows it. The prosecution considered the confession "the single most important piece of evidence" in the case. The defense claimed the confession was completely undermined by the medical evidence, and that false confession is a real phenomenon that's led to countless miscarriages of justice. Ultimately, the jury watched and weighed nearly 10-hours of interrogation video against days of medical testimony. SCENES OF A CRIME explores a nearly 10-hour interrogation that culminates in a disputed confession, and an intense, high-profile child murder trial in New York state. The film won a 2011 IFP Gotham Independent Film Award ("Best Film Not Playing at a Theater Near You"), won the Grand Jury Award at the Full Frame Documentary Film Festival and the Grand Jury Prize at DOC NYC in the "Viewfinders" section in November. Variety called the film "absorbing and provocative." 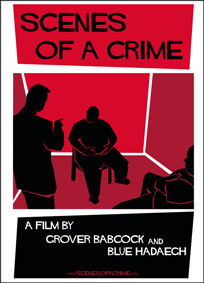 Police video-recordings allow directors Blue Hadaegh and Grover Babcock to unravel the complicated psychological dynamic between detectives and their suspect during a long interrogation. Detectives, prosecutors, witnesses, jurors and the suspect himself offer conflicting accounts of exactly what happened in this mysterious and disturbing true-crime documentary. Blue Hadaegh and Grover Babcock have produced independent documentaries, television programs and series for over 10 years. Their work has appeared on Discovery Channel, PBS, Travel Channel, Sundance Channel and others. Their prior feature documentary, "A Certain Kind of Death," premiered at the Sundance Film Festival, and was broadcast internationally, including on the Sundance Channel.